We cruise cruise around the South Pennine Ring. Including the whole of the Rochdale Canal we start at Castlefield Junction and climb the Rochdale Nine Locks to reach Ducie Street Junction. Continuing our climb we reach the glorious scenery of the Rochdale Canal summit pound before descending to Sowerby Bridge where we pass through Tuel Lane Lock, the deepest in Britain. 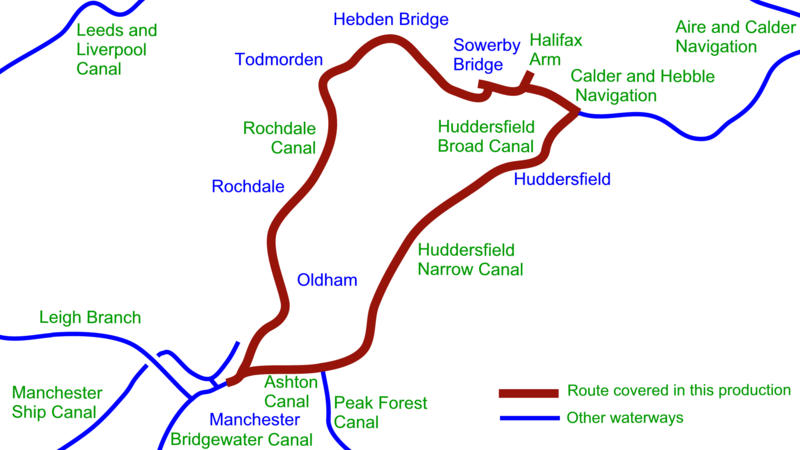 Our return journey starts with the Huddersfield Broad Canal to Huddersfield, then the Huddersfield Narrow Canal to reach the summit pound at Marsden. Standedge Tunnel, the longest, highest and deepest canal tunnel in Britain, will take us back through the Pennines and we descend to reach Dukinfield Junction. Our journey is completed along the Ashton Canal which returns us to Ducie Street Junction. 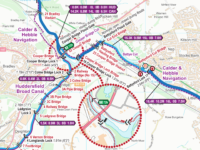 See the hard work of 114 broad locks and 92 narrow locks, plus 6 opening bridges, from the comfort of your armchair and enjoy the wonderful Pennine scenery in the bright summer sunshine. 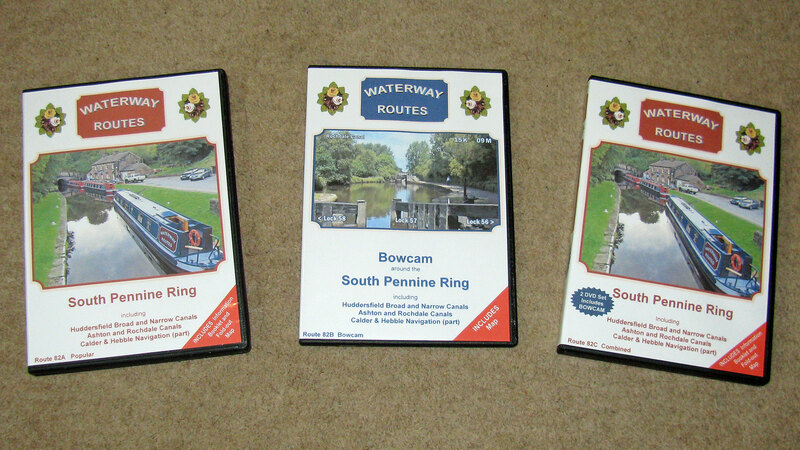 Route covered by the South Pennine Ring DVDs. South Pennine Ring DVDs in a choice of formats. Contents of South Pennine Ring Combined DVD. Extract from my South Pennine Ring Maps. 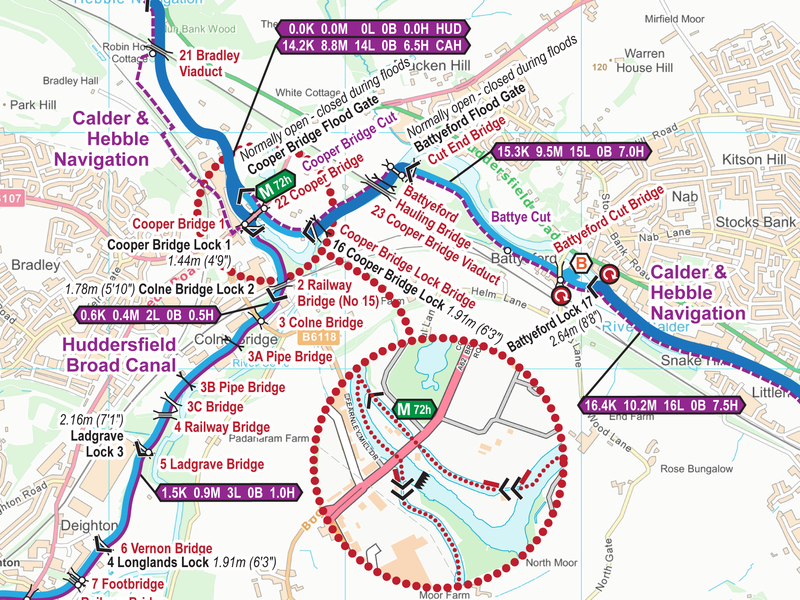 Read more about my South Pennine Ring Maps. 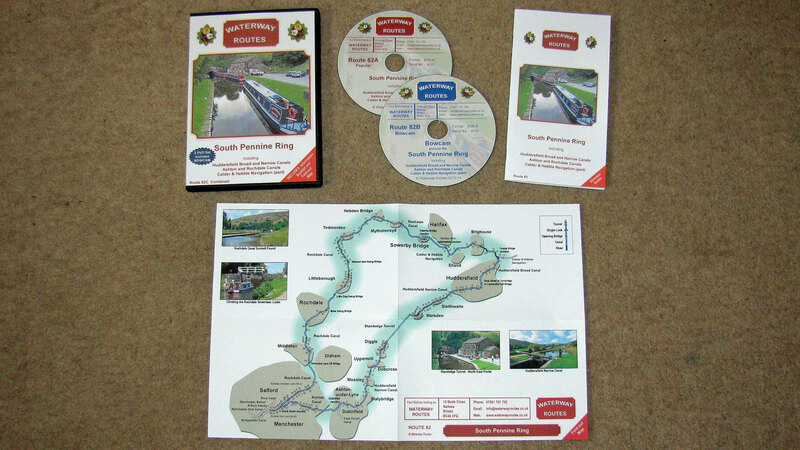 Save 10% on both when you buy a South Pennine Ring Map and DVD together. Automatically deducted at checkout.